How to give 5-star rating to plugin purchased from codecanyon? 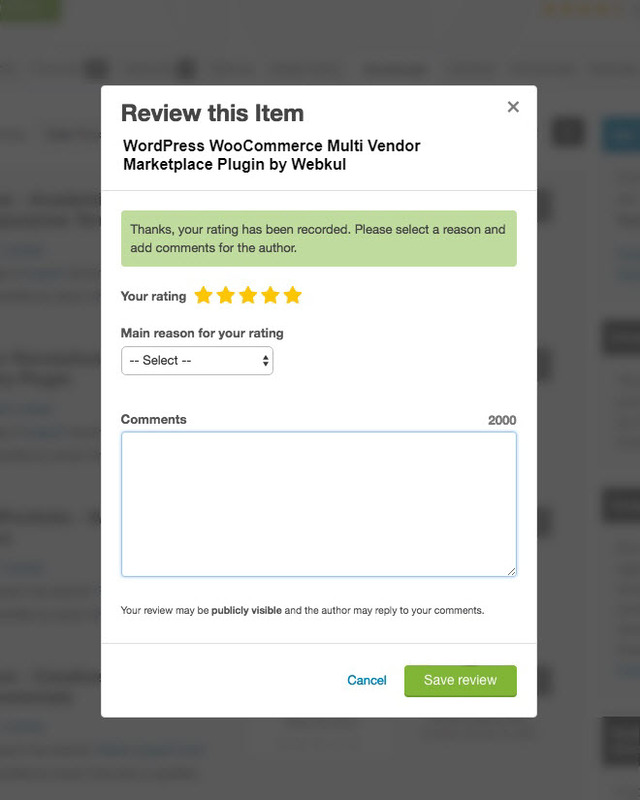 To give a 5-star rating to plugin purchased from codecanyon is super easy. You just need to follow below steps to rate us and share your user experience as a valuable feedback in form of review. 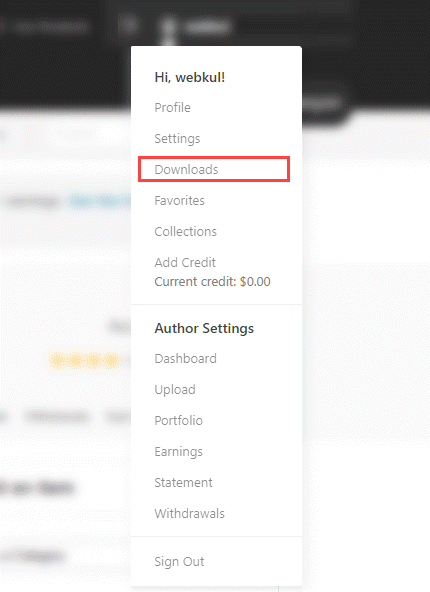 Step 1 : View the item on your downloads page by clicking Downloads. Step 2 : After downloading the item Rate this item will be shown. Step 3 : By hitting the Rate this item a pop-up will appear to give the final rating. Step 4 : Enter your valuable feedback and hit Save review. And that’s it. It will visible on the front-end as below image.